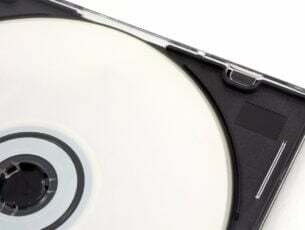 While image resolutions of several thousand pixels are best for printing and viewing in high quality, it can be problematic for distribution, storage, and uploads. The logical solution is to shrink your photos to a lower resolution or convert them to a more size efficient format. This lets you share your files with others, upload to the web, or keep them on your device, courtesy of freeware tools to help you resize multiple images. These are the best image resizer tools for Windows. If you’re looking for a simple to use image resizer software, then Batch Image Resizer from Jklnsoft might be just what you need. The software has a simple to use interface, and you can easily find the pictures that you want to resize by using the folder tree in the left pane. Once you select the desired folder, you’ll be able to preview your images and choose the images that you want to resize. Now you need to choose the resize method, and there are four methods available to choose from. Once you select the resize method, you need to set the desired size and you’re good to go. It’s worth mentioning that you can prevent images from enlargement, which can be quite useful if you don’t want to resize them and make them blurry. There’s also a sharpen feature available, and you can use it to somewhat negate the blurring. In addition to resizing, this tool also supports file conversion, and you can easily convert your images to JPG, GIF, BMP, PNG, TIF, and PCX format. 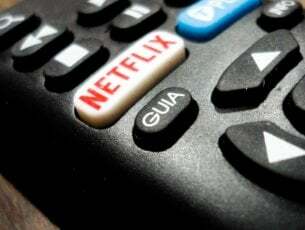 Some settings such as JPEG and TIFF will allow you to adjust the image quality in order to create smaller size files. Renaming feature is also there, and by using it you can add prefix or suffix to images that you’ve resized, so you won’t mix them up with unresized images. In addition to renaming, the application also supports numbering so you can easily number all processed images. A basic watermark feature is also available, so you can protect your images with a simple watermark. Overall, Batch Image Resizer is a solid tool for resizing images, but it also supports some advanced features including renaming and file conversion. If you’re looking for a simple and easy to use image resizer, you might want to try this tool. 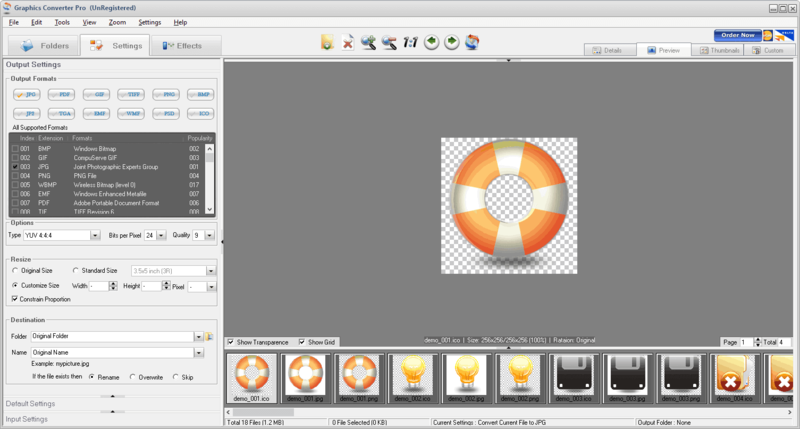 Another great tool that can work as an image resizer is Graphics Converter Pro. This tool can work with 500 different graphics formats, but it also supports 22 vector formats. Graphics Converter Pro can also import and export TIF, GIF, PCX, AVI, WFX, FLI, FLC formats which is a welcome feature. Graphics Converter Pro supports alpha channel for PNG and ICO formats and transparency for GIF, PNG, and ICO formats. The application has over 13 different image effects that you can use and over 80 different frames that you can add to your pictures. Graphics Converter Pro has many features available, including watermarking, cropping, resizer, splitter and several more. Regarding the resizing, there are three modes available: Standard, Custom and Proportion, and thanks to the built-in preview, you’ll ensure that your resized images look great. Another feature that deserves a mention is the renaming tool that has over 22 different templates that you can use. This mode also supports EXIF information which will make the renaming process faster and simpler. Graphics Converter Pro is an incredibly powerful tool, and with the ability to convert and resize files, it will be a perfect choice for many users. If you are in the habit of uploading tons of photos to social media, then FILEminimizer Pictures is the right tool for you. It used to be a shareware, now it is a free tool for personal consumption. 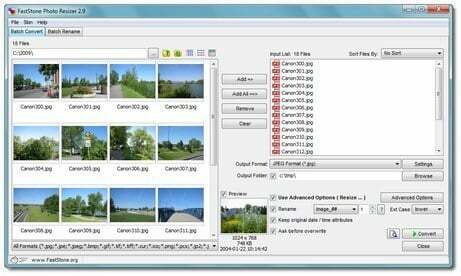 It primarily works to convert large images from various formats to a compressed JPEG version. That means you can then send the converted files over the internet. However, it is unable to process an entire folder at once. The tool also limits the number of images you can resize to only 500. There is an option to select the output quality using a three-step slider. High Quality Photo Resizer provides an easy step for batch resizing of images. 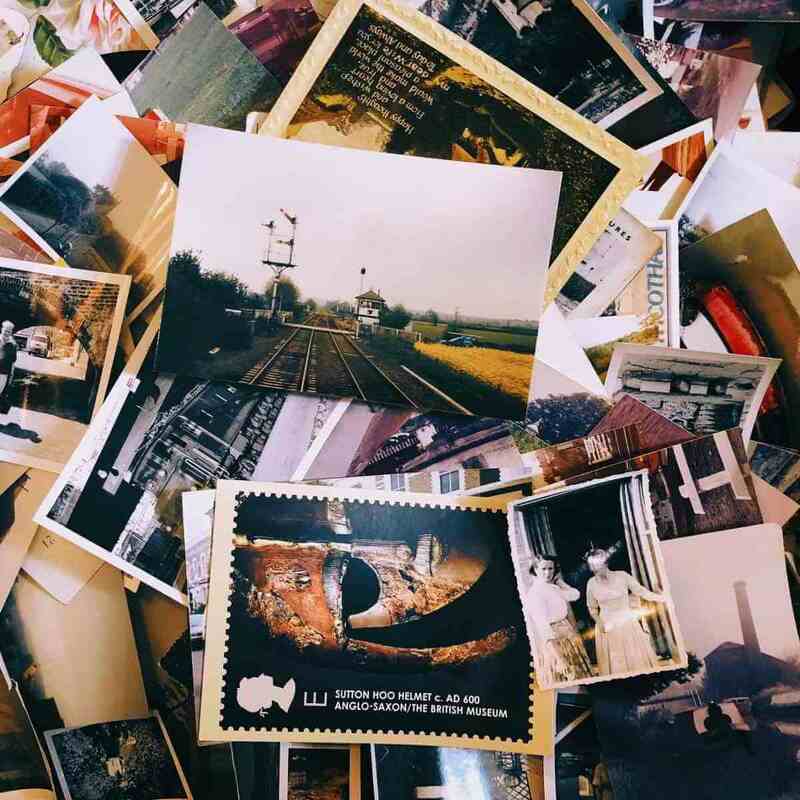 The tool allows you to create high quality small photos for distribution on the internet or for sharing with friends and family. To process images, choose the files or folders in question and select where to save the output. It supports various input formats including BMP, DIB, EMF, GIF, ICB, JPG, JPEG, PBM, PCD, PCX, PGM, PNG, PPM, PSD, PSP, RLE, SGI, TGA, TIF, TIFF, VDA, VST, WBMP, WMF. Output formats supported include JPG, PNG, GIF, BMP, TIF, TGA, WMF, EMF. High Quality Photo Resizer features 37 special effects that can be applied to the images including blur, sharpen, emboss and negative. The tool is compatible with Windows 2000, XP, 2003, Vista and Windows 7 x32 and x64. 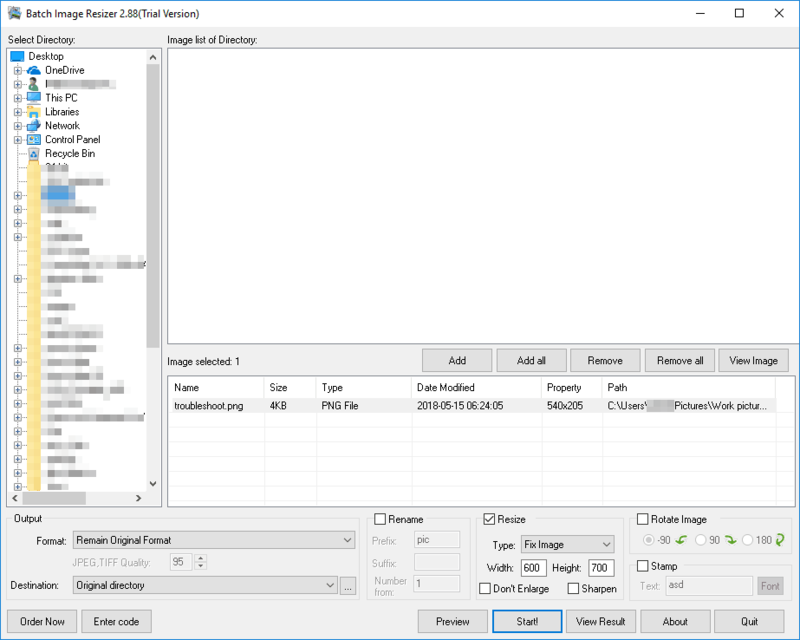 Plastiliq ImageResizer is another easy-to-use tool for batch converting and resizing of images in various formats including BMP, PNG, JPG and TIFF. You can alter an image’s width, height, fit, percentage and the current desktop resolution using the tool. 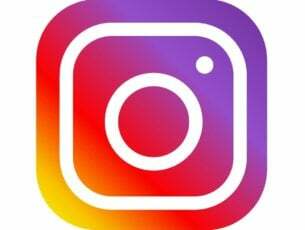 There are options as well to leave smaller files as is, change date and time attributes, overwrite existing files, and configure the JPG compression ratio. Convert images. Support of many popular image formats: JPEG, JPG, PNG, BMP and TIFF. Resize images. 7 useful modes including Width and Height, Width, Height, Percentage, Fit and Desktop. Improved drag & drop. Support for drag & drop for files and folders (including subfolders). Support for drag & drop for files shortcuts and folders shortcuts. Easy–to–use. Drag & drop mouse operations, image previews, tooltips and other useful features. Quick start. See our compact and illustrated User Guide for more details. 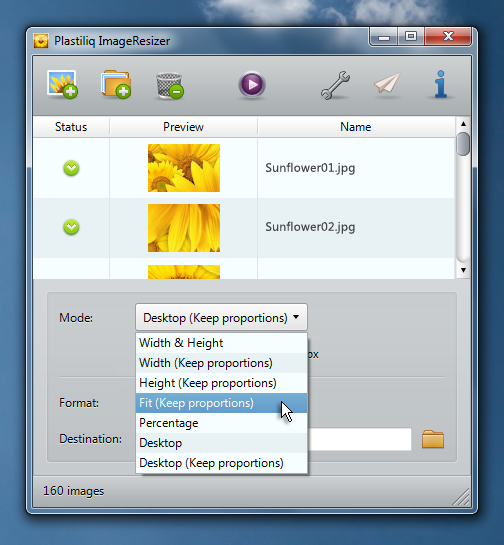 Plastiliq ImageResizer is compatible with Windows XP, Vista and 7. FastStone Photo Resizer is an image converter tool that that also lets you rename, resize, crop, rotate, change color depth, and add text and watermarks to images in batches. It supports drag and drop mouse operation. The renaming function is especially helpful if you want to only organize the naming of files instead of resizing them. The tool includes its own file browser. It has a wide array of supported image formats including Photoshop PSD files and ICO icon files, which are not found in many other batch image converters. The tool’s installer and portable versions are available and compatible with Windows 98 up to Windows 7. Fotosizer packs a combination of easy-to-use features and a wide selection of custom or preset resizing options. Other options include special effects such as black and white, sepia, and negative. You can also flip and rotate images and keep JPEG Exif or Xmp tags. The output file formats include BMP, JPG, PNG, GIF and TIF. Easily set resizing options by choosing between resizing modes that correspond to how you want to resize your photos. Resize by choosing one side of the image only and automatically resize the other side. Make all of your photos the same size regardless of their dimensions by adding padding, using the Pad resize mode. Resize portrait and landscape photos at the same time. Resize quickly and easily using a preset list of sizes including iPod, iPhone, and Sony PSP screen sizes. 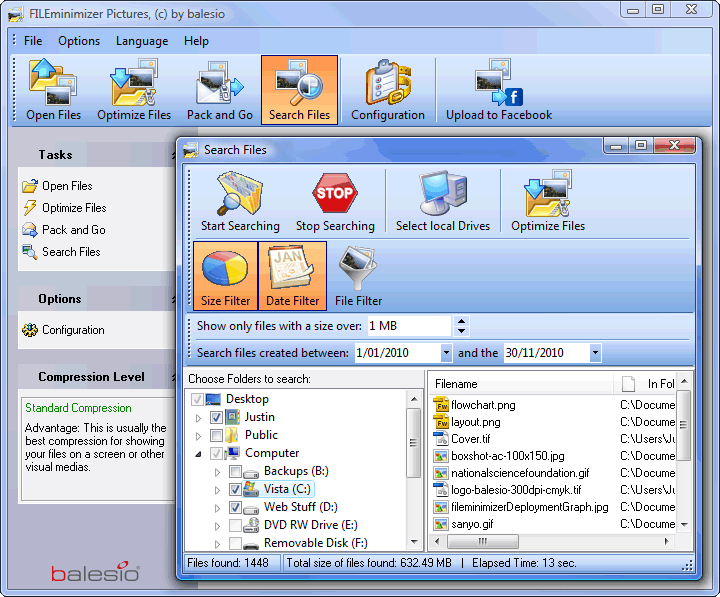 Drag and drop files or folders from Windows Explorer straight into Fotosizer. Choose to set a background colour for text watermarks. 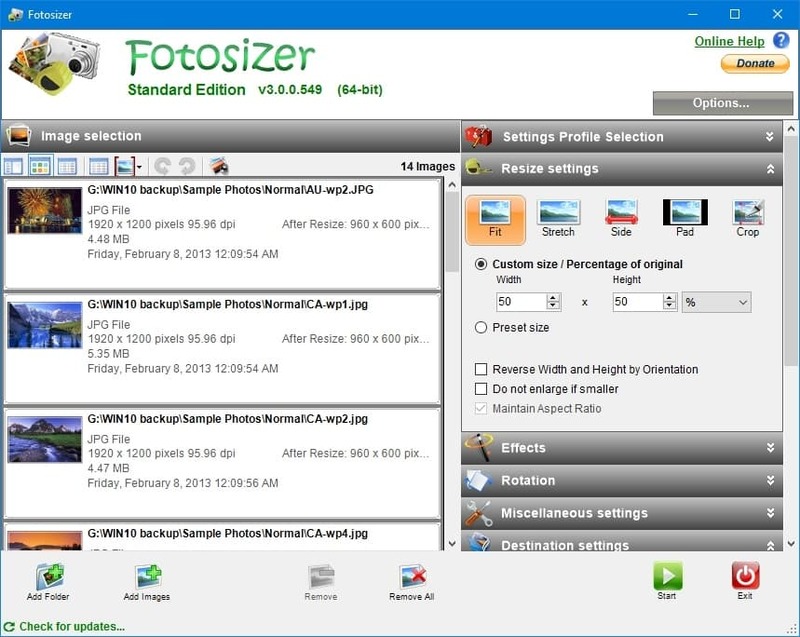 Choose when and if updates to Fotosizer are installed. Checks for updates in the background while you are using Fotosizer allowing you to continue using. If you have other tools to suggest, let us know in the comments below. Editor’s Note: This post was originally published in May 2017 and has been since revamped and updated for freshness, accuracy, and comprehensiveness.